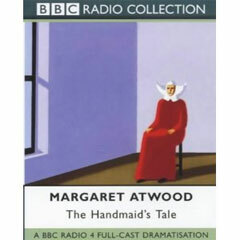 We continue our delicious treat of BBC radio drama this week with the second part of John Dryden’s inspired adaptation of Margaret Atwood‘s The Handmaid’s Tale. The story tells of a dismal future where the lines between church and state are no longer distinguishable, woman are no longer allowed to own property and free, fertile women are conscripted to become “handmaid’s” – stand-ins for infertile wives in a world where sterility seems rampant. Also in this episode: Announcing the launch of Transcontinental Terror, a 6-hour audio festival going down on Halloween, and the availability of Starstruck, a new audio comic adventure on CD!